Ruth forsook father and mother, country and friends, to cast in her lot with the people of God, and her name is linked with that of the greatest king of Israel, and with that of the great Redeemer of mankind. In her noble act of self-sacrifice she honored God; and God, in accordance with His promise, honored her. No one ever lost anything by being true to God. He is able to reward His faithful servants, and He does reward them liberally. “The discourses that make up the little volume before us were prepared by a well-known Lutheran pastor for the members of his own congregation. They are based on continuous sections of the Book of Ruth; and they gain not a little advantage from the fact that they have for their foundation a portion of the Divine word so full of interest and so rich in material for useful instruction. 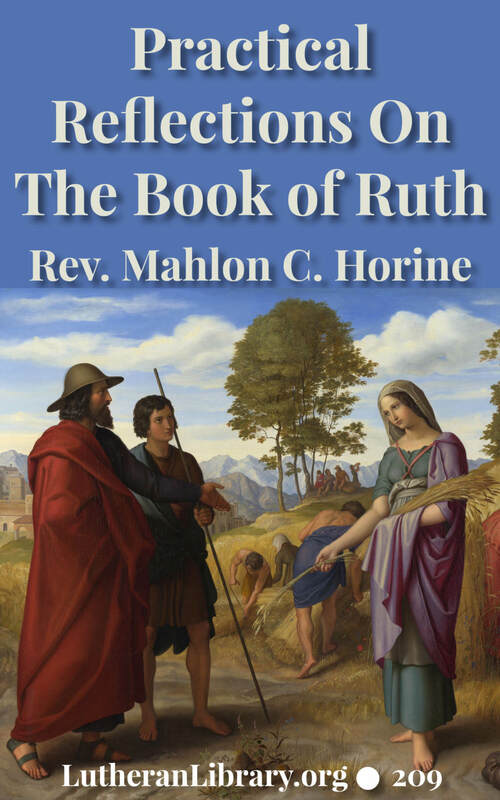 “That the Book of Ruth is interesting is a universally acknowledged fact. The story it tells holds the attention from first to last. The characters it delineates awaken sympathy in all hearts. The pictures it paints are specially attractive and afford enjoyment to young and old, to cultured and rude. 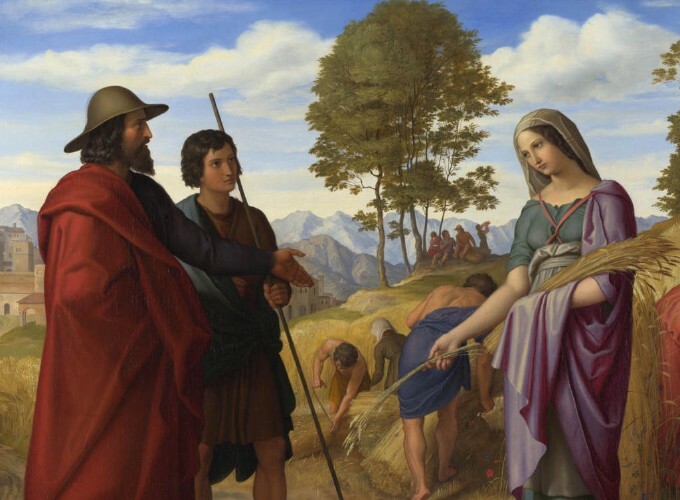 The scene in which Ruth makes known her unalterable purpose to cleave to Naomi, let come what will, is one of surpassing tenderness and loveliness. Mahlon C. Horine was born July 14, 1838 in Frederick County, Maryland. In 1861 he married Emma Frances Winebrenner in Gettysburg. They had six children. Dr. Horine graduated from Gettysburg College in 1861, Gettysburg Lutheran Seminary in 1863, and earned D.D. from Muhlenburg College in 1892. He served pastorates at Smithsburg, Maryland 1865-1869, Dayton, Ohio 1869-1870, Zanesville, Ohio 1870-1873, Danville, Pa. 1873-1881, St. James. Reading, Pa., 1881-1909, and Trinity Lutheran, Monoa, DE 1913-1917. Chapter 3. Naomi’s Return To Bethlehem. Chapter 4. Gleaning In The Field Of Boaz. Chapter 5. Boaz Meeting Ruth. Chapter 6. Ruth’s Return To Naomi. Chapter 8. Removing Legal Hindrances.